Craig Ellwood was born in 1922 in a small town in Texas and moved to Los Angeles with his family, as a child. Mostly self-taught, Ellwood received his education through evening courses in structural engineering at the UCLA(University of California Los Angeles) that, together with the apprenticeship in a construction company, gave him a deep understanding of construction processes and allowed him to achieve international recognition and success as an architect. 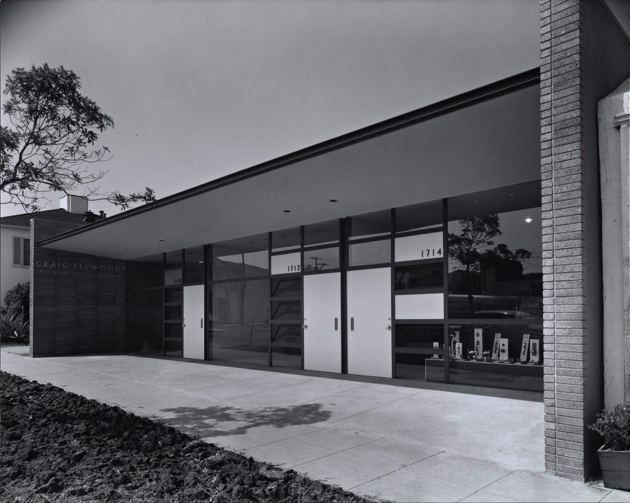 Big fan of Mies van der Rohe, Ellwood showed his influence -among many other acclaimed projects- in the Security Pacific Bank Building at Wilshire Boulevard and at the Art Center College of Design in Pasadena, designed in 1976. Craig Ellwood, for both his residential and commercial works, used steel frame construction to achieve stunning effects. In the late 1970s he retired as an architect to focus on his passion for painting. Craig Ellwood died in 1992, at the age of 70 in his house in Italy close to Florence.